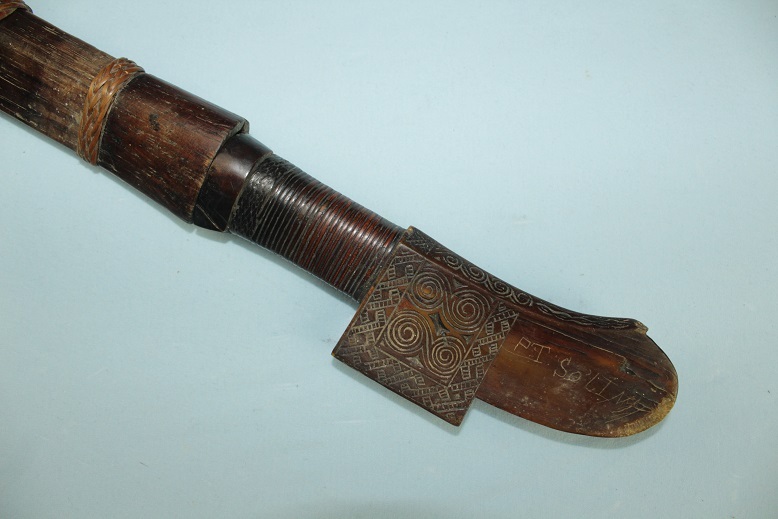 This rare antique sword is from the Mountainous regions of Central Sulawesi. 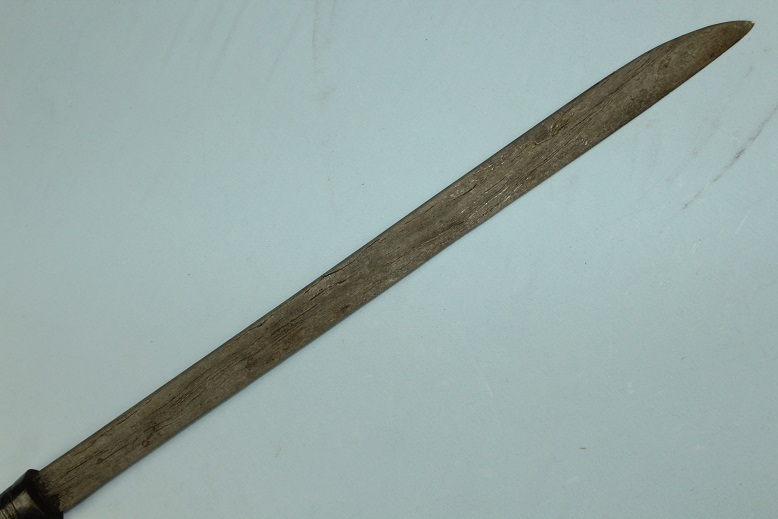 It measures 66cms overall in the scabbard, 63.5cms out. 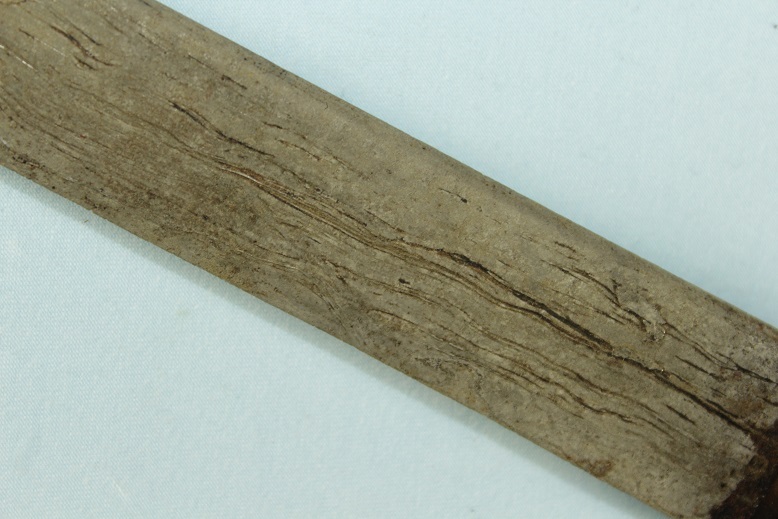 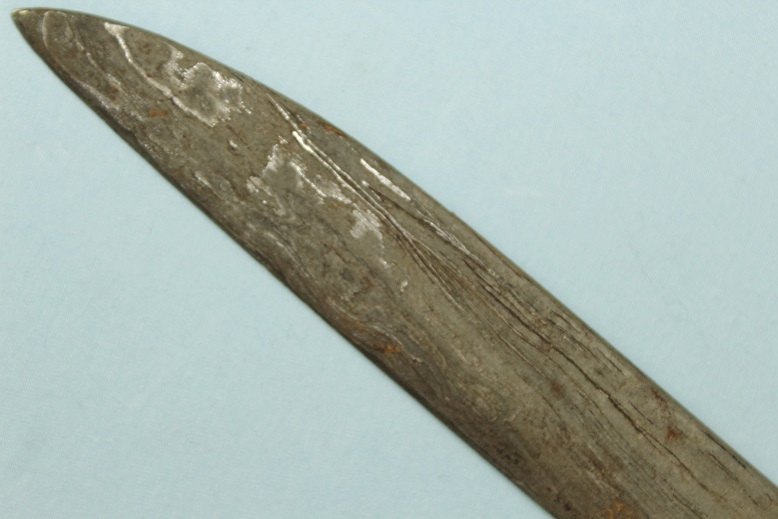 The thick straight 46.5cm long blade shows a lovely pamor throughout its surfaces. 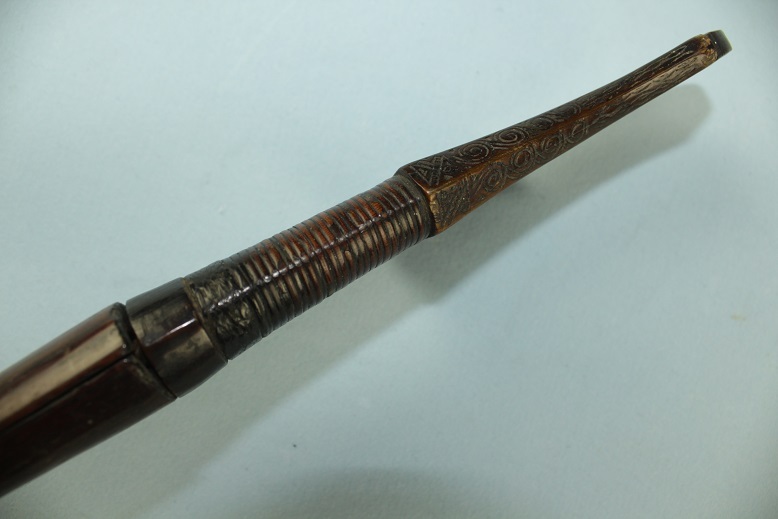 The finely carved horn hilt shows tribal geometric patterns to the side faces and its spine. 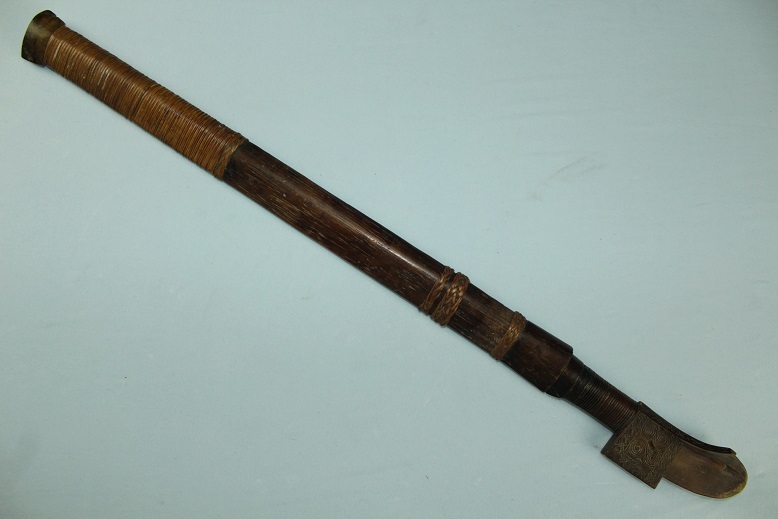 It is rattan bound towards the blade and lightly engraved with an owner's name on the left face of the flared pommel, an aspect that can easily be polished out. 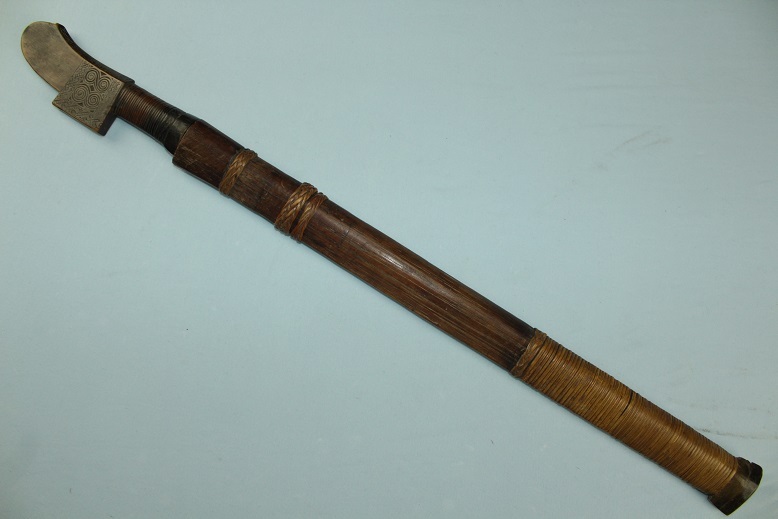 The wood scabbard is also bound in rattan and has a large horn ferrule to the base. 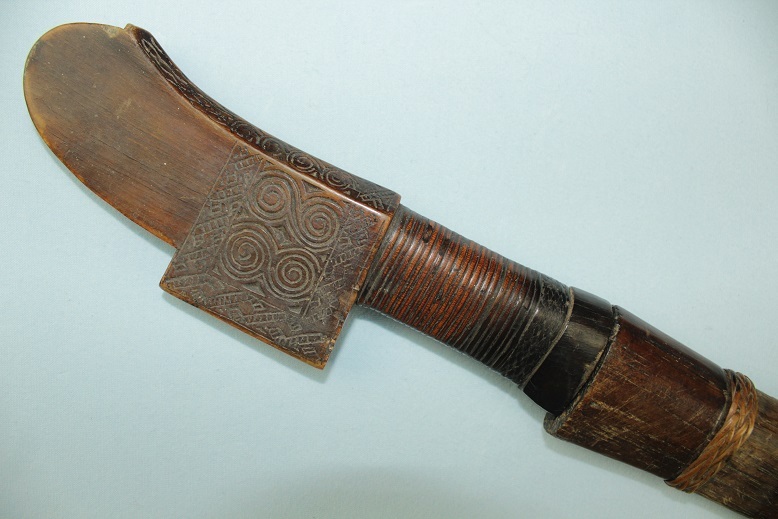 "Dua Lalan" comes from its double useage, to either slaughter buffaloes for funeral sacrifice or to slaughter invaders during times of war. 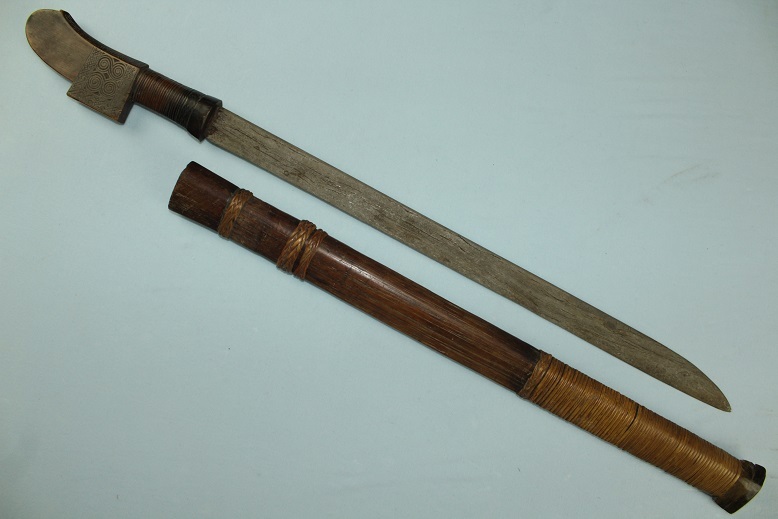 A strong and lethal sword capable of delivering a mighty blow. 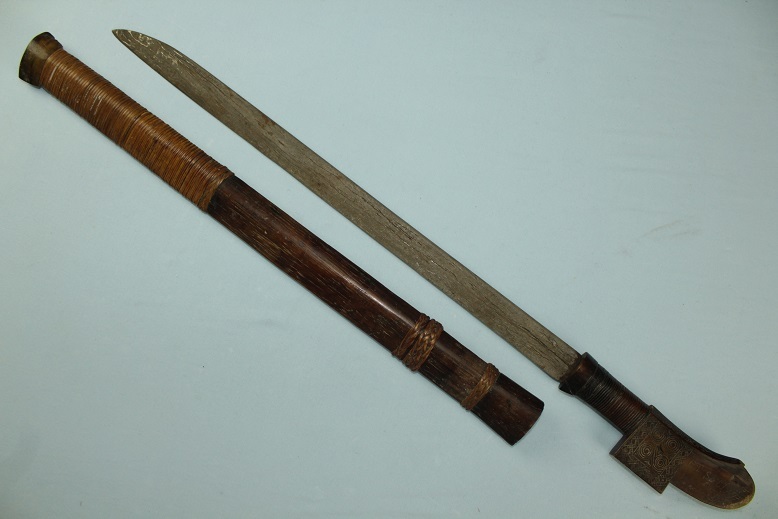 Similar swords can be seen in Albert G. Van Zonneveld, Traditional Weapons of the Indonesian Archipelago, page 43.